Please call 817-275-8686 to book an appointment. Maren Karsen Aveda Salon & Store is a full-service hair salon & Aveda Experience Center located in the heart of Downtown Arlington, Texas. We are in the beautiful Vandergriff Town Center, next to Grease Monkey Burgers & across from Babe's Chicken, Mellow Mushroom & Arlington Music Hall. Aveda is an industry leader in haircare, skincare, body products and cosmetics. That is why Maren Karsen only carries Aveda products and only use their hair color line. 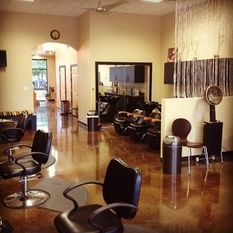 We are proud to be booming Downtown Arlington's Aveda salon. 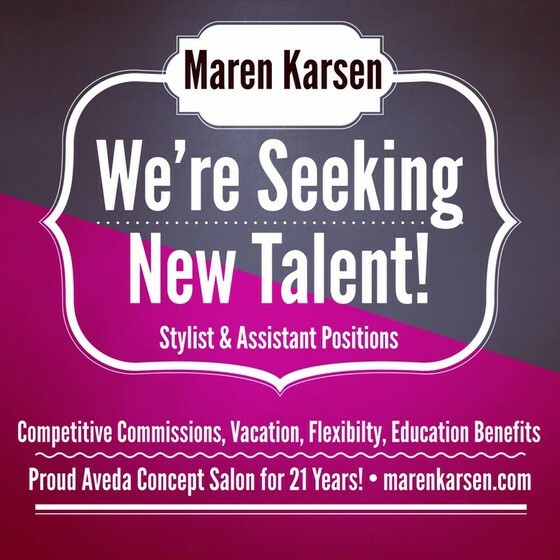 Whether for a professional haircut, highlights, color or just your favorite styling product, Maren Karsen Aveda salon is here for you at your convenience. We have evening appointments and Saturdays for the 9 to 5 crowd. Our guests are number one, and the reviews to the left are a testament to why we are among the best salons in Arlington and beyond.